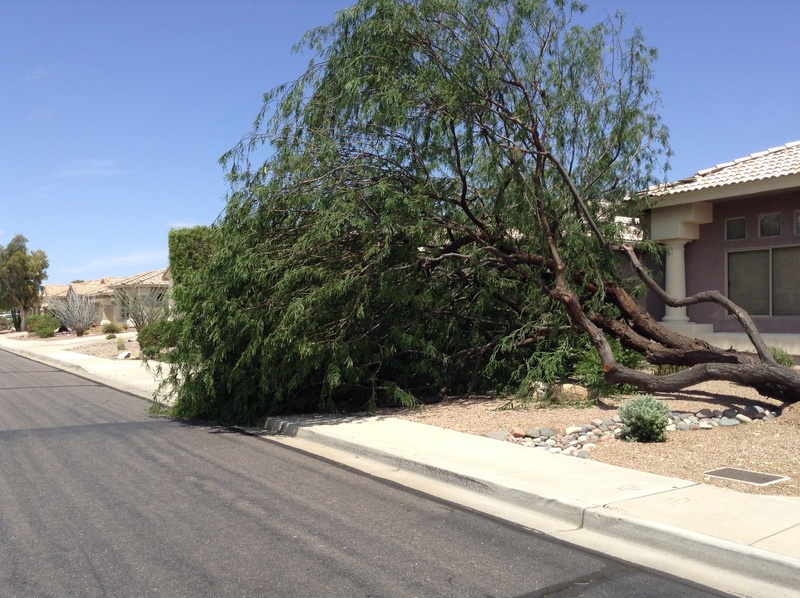 We’ve had many calls over the last couple of months for trees that have been blown down by the strong winds associated with the monsoon storms we have been experiencing this summer. All of these trees could have been saved if the owners would had them properly trimmed by a professional arborist. These trees had canopies that were over grown and the wind just blew them over. Proper trimming would have saved these trees.